The only Water Park in the region designed just for families with kids aged 2-12! 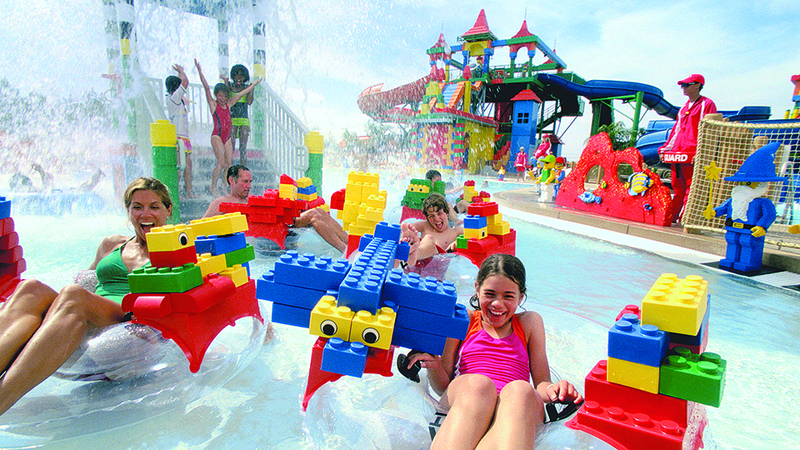 Splash into a world of LEGO® adventures at LEGOLAND® Water Park, the region's only water park designed for families with kids aged 2-12. 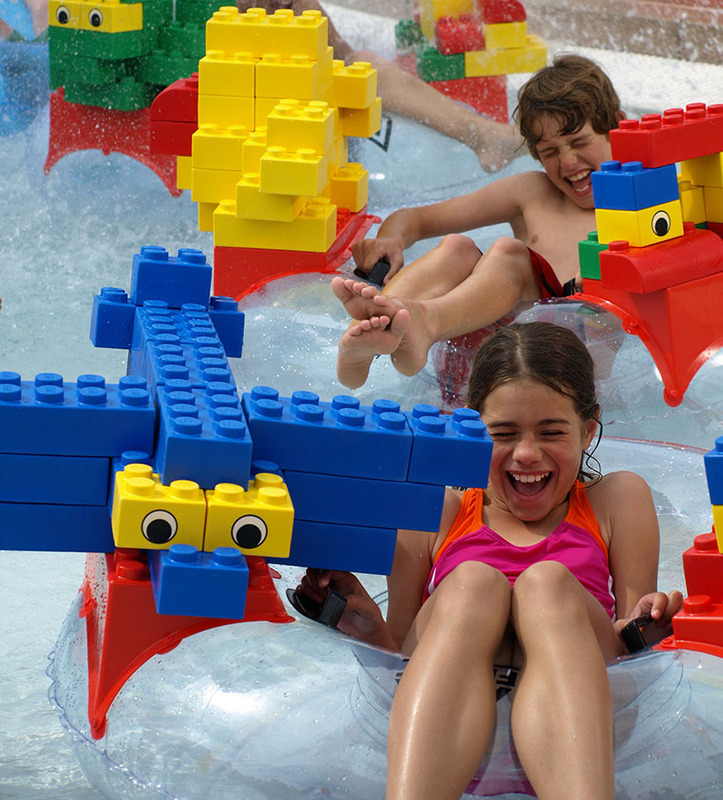 Let your creativity and imagination flow with over 20 LEGO themed water slides and attractions, including the LEGO Wave Pool, DUPLO® toddler play area and Build-A-Raft River where you can imagine and build your very own LEGO raft. 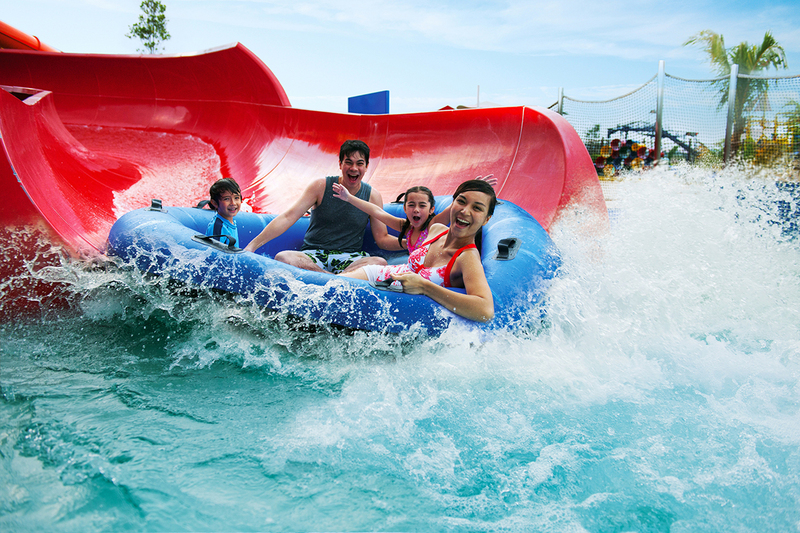 It's the most splashtastic family day out! If you’re ready to take on the Joker Soaker enjoy a fun, interactive water playground offering something for every family member. Wade in the pool or enjoy a torrential spill from a 300-gallon bucket! Toddlers will love DUPLO® Splash Safari, a water area designed just for them with fun interactive LEGO DUPLO characters. The whole family can take a ride on Red Rush, down a long curving track into a huge half pipe; or enjoy endless twists and turns on Twist ‘N’ Spin as you slide down on a double tube. Now get ready to race! LEGO® Slide Racers is an exhilarating experience as you grab your mat and race against five other friends. Or see who can reach the bottom first on the Twin Chaser’s double body slides; then zoom your way down the open body slides of Wave Rider and Splash Out. 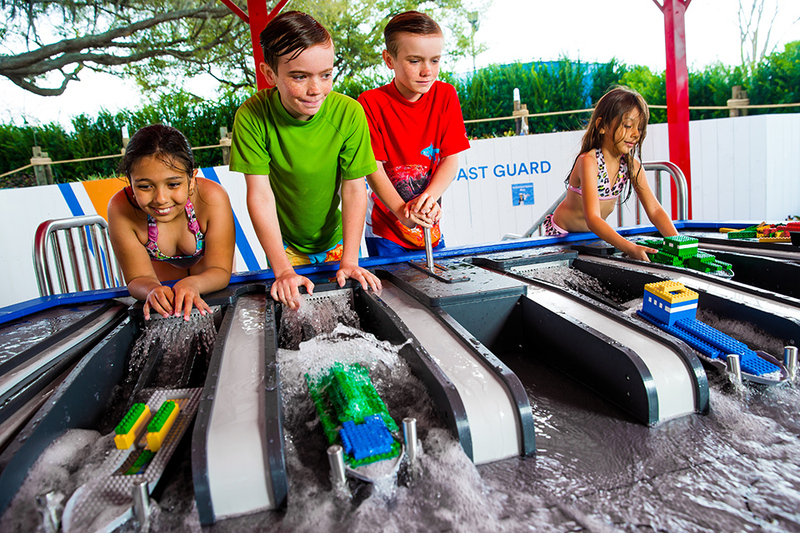 Build-A-Boat with LEGO bricks in this outdoor building area and test it against the current. Then catch a gentle wave or simply cool off in the perfectly sized LEGO® Wave Pool where the waves are just big enough for the whole family to enjoy, before customising your own raft made of large soft LEGO bricks and floating down a lazy river in the one-of-a-kind Build-A-Raft River. LEGOLAND Water Park. It’s where awesome awaits! You are not able to bring food and drink from outside of the park, into LEGOLAND® Water Park. Therefore, you’ll want to organise to eat before you enter the park or eat at one of the LEGOLAND® Water Park Cafes.